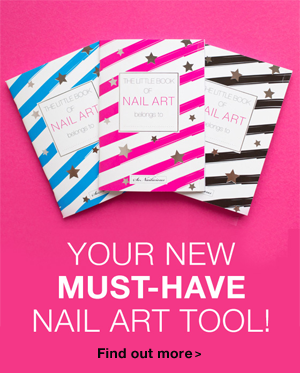 Easter is just around the corner so why not to give your nails a themed makeover? 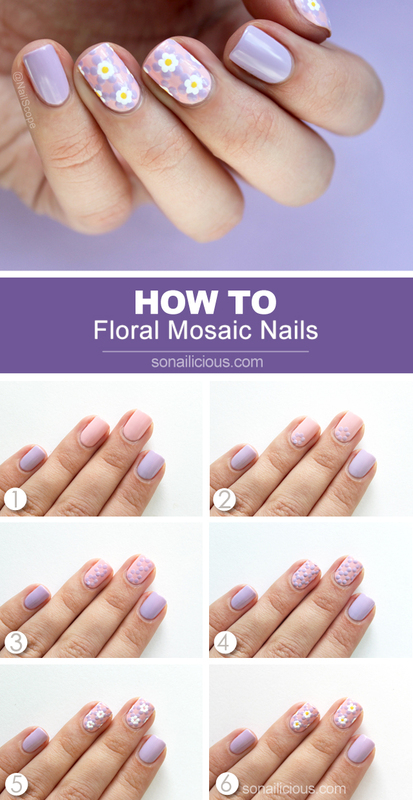 This dreamy Easter Pastel Mosaic nail art is the perfect manicure for the occasion. It was inspired by a delicate fabric pattern I saw wrapped around flowers at the markets. I fell in love with this print so I decided to immortalize it by transforming it into nail art. 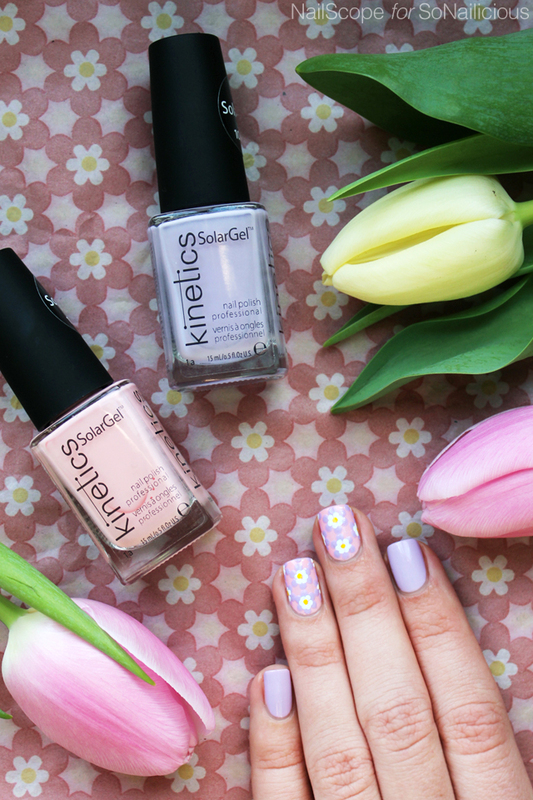 Like any dotticure, this Easter nail art is very easy. 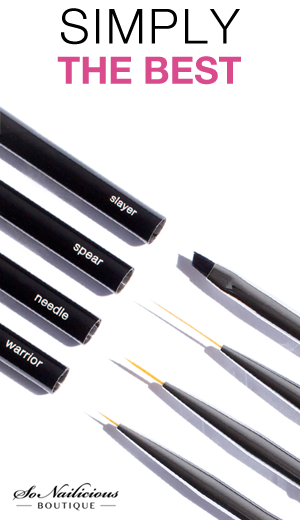 All you need is 4 different pastel colours, a dotting tool and a bit of concentration. This nail design looks great in pastels, but if you’re up for it, try it brighter, more vivid colours for a more edgy look. 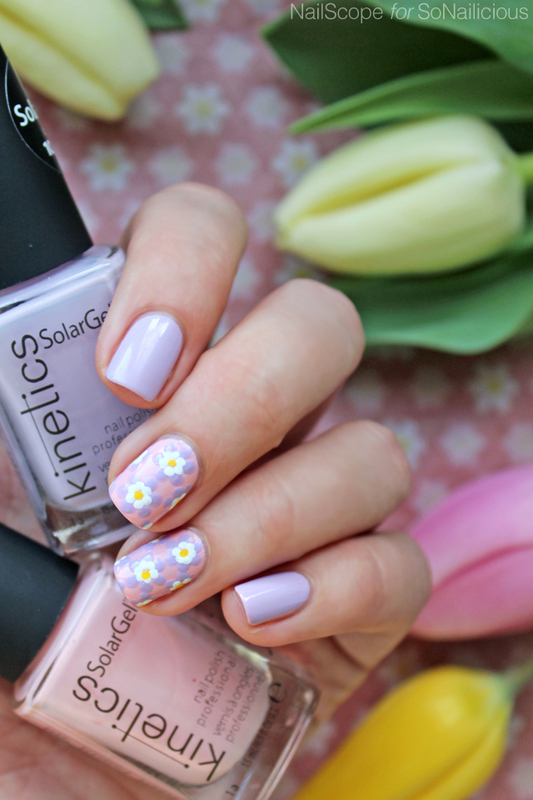 Match this Easter manicure to your mood with any colour palette you dare to try! Without further ado let’s see the how-to! Paint the little and ring fingers in pastel lilac and the rest in pastel pink. 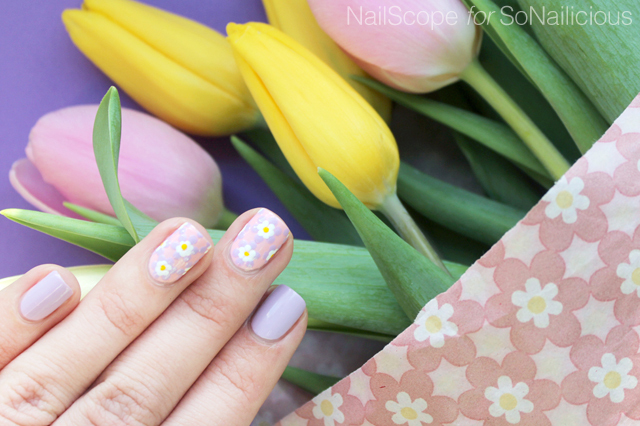 Using the dotting tool, make big lilac dots like flower petals on the pink nails. Start with one at the nail base. Follow with one more flower. Cover all nail with flower pattern. With white nail polish, dot small white flowers in the middle of some lilac. Finish the design with yellow dots in the middle of white flowers and apply 2 layers of fast drying top coat. Used: OPI Nail Envy, Kinetics Pirouette (pastel pink), Kinetics Ballerina (pastel lilac), Kinetics Beginnings (white), Kinetics Narcissus (yellow) and Sally Hansen Insta-Dri top coat. 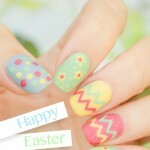 Hope you enjoyed this ‘Mosaic’ Easter nail art tutorial! If you try it, we’d love to see you work – Tweet or Instagram us a photo with the tag #sonailicious. P.S. 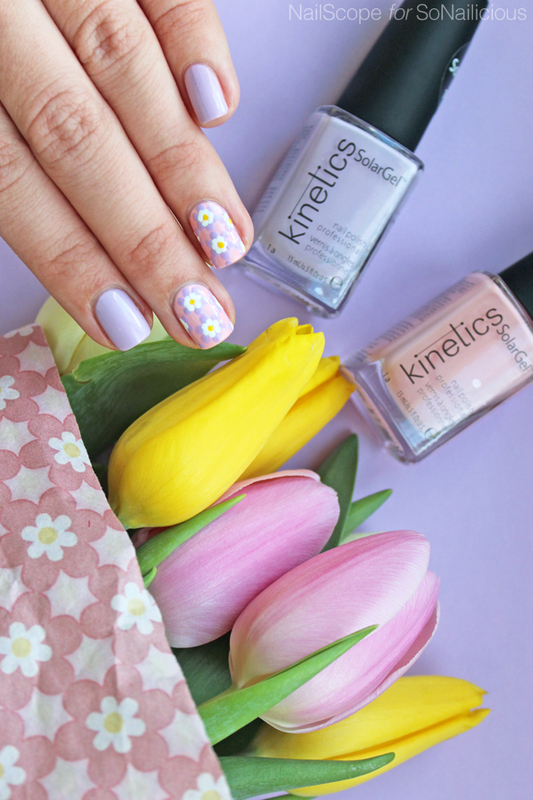 Ready to challenge your nail art skills with an Easter nail design? Join our Edgy Easter challenge, there’s still two days to go! The more, the merrier.